Back in May when the BMW M8 prototype was revealed to the world, it was thought that the coupe would receive similar power figures to the upcoming. However, Autocar has reported that the M8 could be getting even more power than the M5's estimated 592bhp. While the engine is still probably the based on the M5's twin-turbo 4.4-litre V8 engine, the M8 will have a "more highly stressed version" of that powertrain which will be rated more than 615bhp. 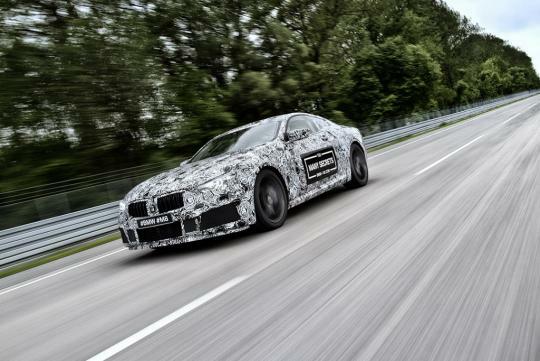 The article also mentioned that the M8 will be using the M5's unique all-wheel drive system which allows drivers to switch between rear-wheel drive and all-wheel drive.